She was born in Agartala, Tripura. Tripura is one of the seven states in Northeast India. Family consists of her father-retired (Mr.Surendra Debnath) from government service, mother-HW (Mrs.Hiran Bala Debnath) and younger sister (Ms.Iren Debnath) who is a psychologist. She herself is a Graduate in Commerce(B.Com.) from Calcutta University. Obtained course of Modern Office Management(W.B.S.C) and Certificate in Computing(IGNOU). Being a part of an educated family she was under tremendous pressure to choose MCA or LAW. She obtained Masters in Computer Application(MCA) and soon she realized that she wasn?t doing justice to MCA, her interest was somewhere else. Later, She studied and performed in Kolkata Film & Television Institute (KFTI). Reema is the first child from her family who obtained Acting (Performing Art) as her career. Member of Cine & TV Artist Association (CINTAA), Mumbai. She has worked for various TV Shows in various channels like major in Jai Shri Krishna, colors and Chandramukhi, DD1. Few Episodes from Kaala Saaya for 9X, CID for Sony, Aahat for Zee, Jyoti for NDTVimagine etc. Few ads like Zen Mobile in 2010, Nokia ringtone in 2008, Teleshopping(2008 and 2009) etc. 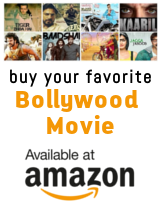 Films like Aloy Phera (Bengali, 2005), Sindoor Daan, Dulha Albela, Daraar in (Bhojpuri language in 2008 and 2009), Bodyguard in (Hindi language in 2011), upcoming movie Peekay (2014, Hindi Film By Rajkumar Hirani).